This was originally an assignment for my Multimedia class in University. The application is designed to load OFF files into the viewer window. The user can then view them in Face, Wireframe, or Point Views. The model can be rotated, panned, and zoomed on. All light is done through GLSL shaders, and the colors represent the model normals. 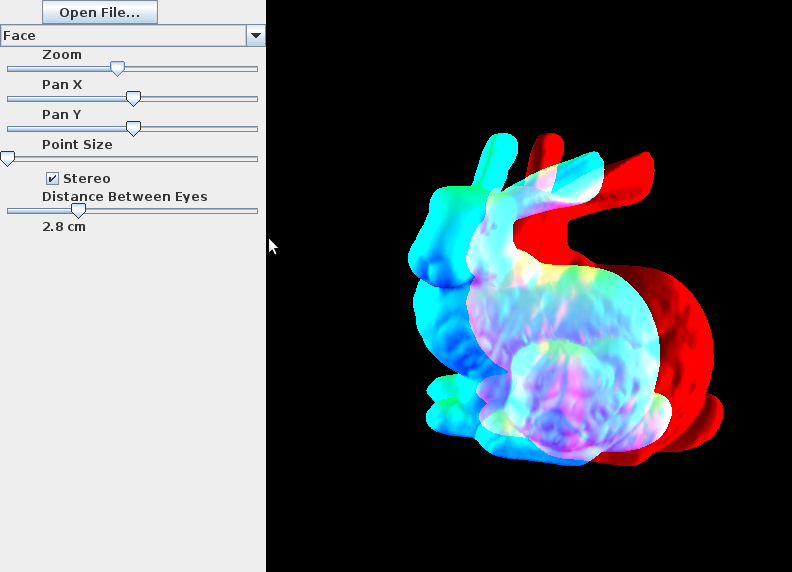 The user can also view the models in stereoscopic vision(Currently rotations do not work in this mode).